Romantic Log Cabin Rental, Perfect for your OH Getaway, Anniversary or Honeymoon. Give us a call to book your Ohio Log Cabin Rental for that Romantic Weekend Getaway. We are located in “The Heart of Ohio”. Come relax in your Private Hot tub on a back covered porch while enjoying a Rustic yet modern Log cabin Rental, with all the comforts of home. 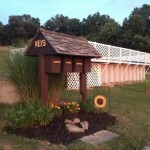 It’s a perfect setting for your Romantic Ohio Getaway, anniversary or honeymoon, with beautiful ridge views. 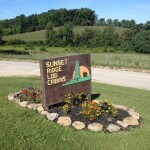 Sunset Ridge Log cabins is the Best in Ohio area Lodging. Close to Mohican State Park, Kokosing State Scenic River and Honey Run Waterfall Park. 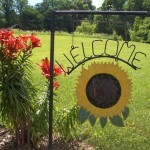 We are located in Danville Ohio, “The Gateway to the Amish”. Take a day trip to Amish Country to shop or you can explore Ohio’s country-side on nearby bike trails (The Kokosing Gap Trail ). Canoe the scenic Kokosing River, discover out of the way places. Create the experiences you will remember a lifetime. Each Log cabin is set up for two people. The quaint spiral Stairs leading you up to the loft bedroom with a queen size bed. The cabins each have a propane fireplace on a thermostat, flat screen TV’s w/Satellite TV, DVD players. We provide you with towels and linens for your stay. Our Log Cabin rentals are fully equipped for year round comfort with heat in winter and A/C in the summer. The hot tub is very relaxing or you can set around the campfire ring to enjoy the star filled nights or take a refreshing dip in our seasonal pool. We have charcoal or wood grills for outdoor cooking. The kitchen is fully equipped, stocked w/basic cookware & utensils. stainless Fridge/freezer, an oven/stove, microwave, coffee pot and toaster. We provide a starter supply of paper towels & toilet paper, dish soap, and a little bit of coffee & coffee filters so you can have your morning coffee while listening to the wildlife or admiring the amazing Views that go on for miles. Extra coffee, paper towels, tissues, your own toiletries such as soap & shampoo for the shower, toothbrush, razors etc. Insect repellent, charcoal & lighter fluid matches/ lighter, binoculars, camera, flashlight, DVD’s. Our cabins have well water, although safe to drink a lot of people prefer to bring there own drinking water. If you wish to have a blanket to lay under the stars, Please bring one, ours are not to be taken outside. Groceries for the stay, and you are ready to relax and enjoy some private time with that special someone. Note*We do have pizza delivery if you just want to order in.